What you’re about to read here is not available from any other source, including Universal Orlando. The truth is that most guests are not even aware that there is such a thing as a return-ticket system for The Wizarding World of Harry Potter – Hogsmeade and Diagon Alley. But no need to worry – if you read through this page, you will be totally prepared for return tickets, and you’ll be ready to maximize your enjoyment of Universal’s theme parks! Before we get into the details, we want to quickly answer the most frequently-asked questions about this set-up. 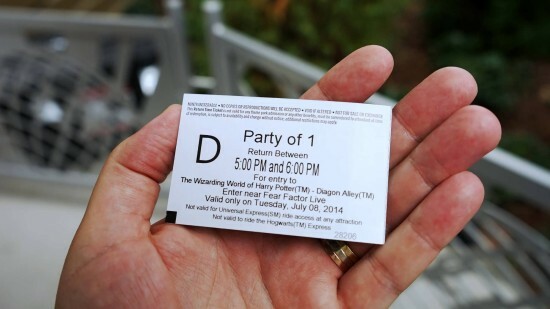 When is the Wizarding World return-ticket system used, and how will I know? First, when you actually do get inside Diagon Alley or Hogsmeade, you can expect: 90- to 180-minute wait times for Harry Potter and the Escape from Gringotts and Forbidden Journey; and 30- to 60-minute wait times for Ollivander’s Wand Shop (both locations), Flight of the Hippogriff, the restaurants, and many of the shops. Second, the return-ticket system is only used during the actual hours when Hogsmeade or Diagon Alley has reached capacity. So, if at 9:00 am the areas have not reached their maximum number of visitors, return tickets aren’t utilized. If at 10:00 am the areas have not reached capacity, they aren’t used. If at 11:00 am Hogsmeade has reached capacity, then the system starts to be used for Hogsmeade. 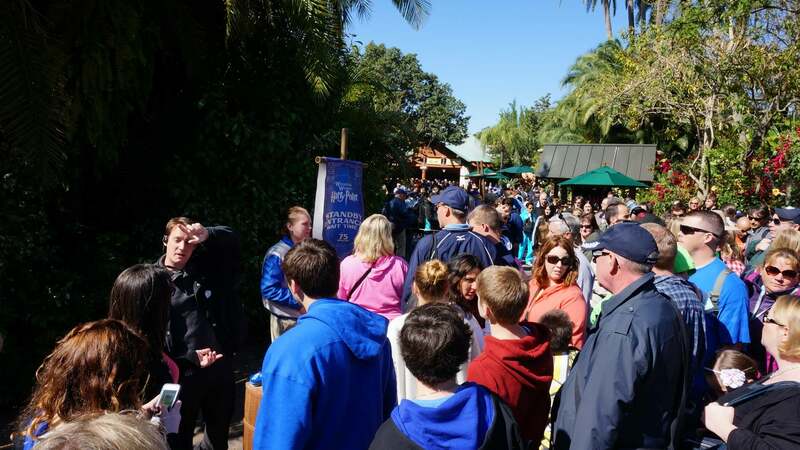 If at 12:00 pm Hogsmeade is still at capacity, the system continues to be used. If at 1:00 pm Diagon Alley fills up, its system is used. 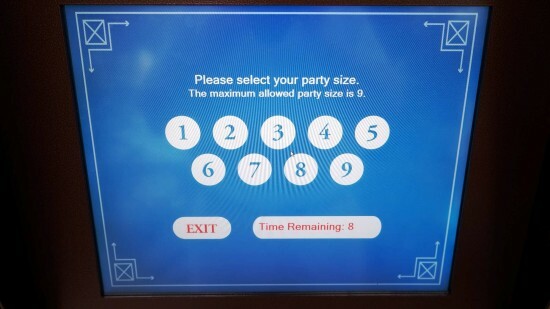 If at 3:00 pm neither area is filled, no system is used – and so on and so forth. Third, as you can see in the previous point, the status of Diagon Alley or Hogsmeade does not affect the other. So, if Diagon Alley is using the return-ticket system, Hogsmeade may or may not employ it, depending on its own crowds, and vice versa. Since the two halves of the Wizarding World are located in different parks (Universal Studios Florida and Islands of Adventure, respectively), the crowds in one area do not directly impact the crowds in the other (yes, even with the Hogwarts Express). Finally, it is not possible to know in advance what days the return-ticket system will be used, nor is it possible to know in advance what hours it will be used. 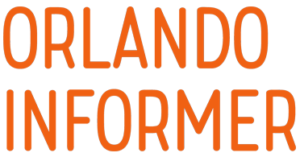 We can make some general predictions, which we’ll get to at the end of the page, but the bottom line is as follows: there is no way to know if the system is being used until you actually walk into Universal Studios Florida or Islands of Adventure and can speak with a team member. Does having an Express Pass let me skip this? Does taking the Hogwarts Express let me skip this? 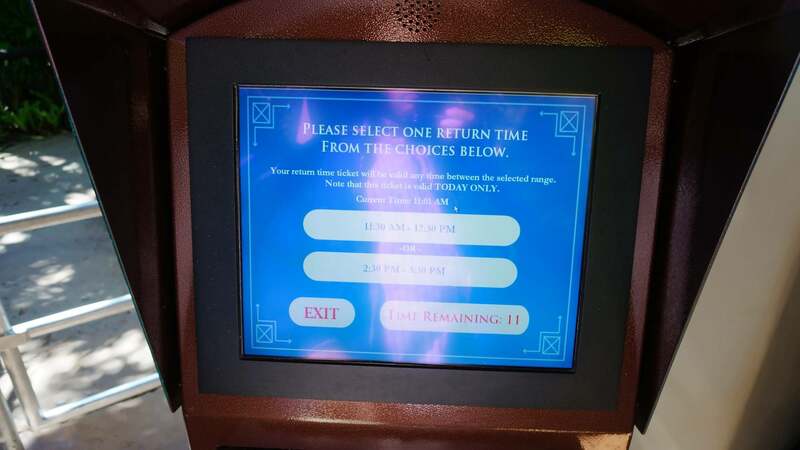 If the return-ticket system is in use at either park, taking the Hogwarts Express will not allow you to go right inside without having to get a return time. Both King’s Cross Station and Hogsmeade Station sit on the outside of the Wizarding World, so when you exit the station, you’ll have to get a return ticket or use the standby queue just like everyone else. Now, we are going to take a look at how the setup works specifically for Diagon Alley and then Hogsmeade. Please note: to get all the information, you need to read through both sections, even if you’re only planning on visiting one area. It is more rare to see Diagon Alley reach capacity than it is to see Hogsmeade do so. Nevertheless, it is still possible for it to happen. At this time, you should open up our custom-made Google map for Diagon Alley (it will open in a new window). Please switch it to Satellite View and zoom in, if necessary. Today, we will be focusing on the colored lines found on the map. As we explained earlier, there is no way to know in advance whether the return-ticket system will be used. 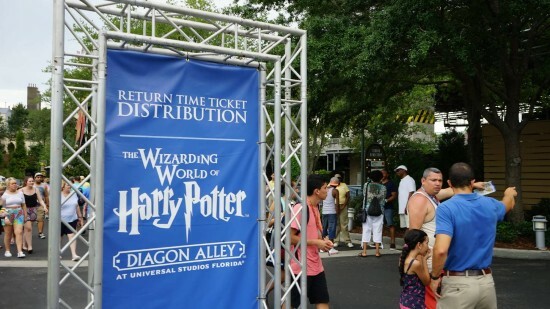 To make matters more confusing, Universal also has had a habit of switching around how it queues for Diagon Alley – offering only return tickets and no standby line, offering only a standby line and no return tickets, or offering both return tickets and a standby line. Yeah, we know that’s confusing – we’re doing our best to help! To find out what is being offered when you arrive, we highly recommend that you ask team members involved in helping guests queue for Diagon Alley. Often, these employees have signs, as you see below, making them relatively easy to find. 1. You may be told you have to get a return ticket, in which case you can follow the blue line on our custom map through the Hollywood backlot and Springfield, past Men in Black: Alien Attack, and on to the kiosks located next to Fear Factor Live to get your return tickets. We’ll talk more about how to use the return-ticket kiosks in just a moment. 2. You may be told you have to use the standby line, in which case you can follow the same blue line on our custom map. However, between Springfield and Men in Black, you may see a sign stating, “The Diagon Alley standby line starts here.” This is the extended queue for Diagon Alley, and if this is in use, it means the park is expected to be very busy. If you see this sign in front of MIB, follow team member directions to the “off-stage” areas. Although the exact route may change, you’ll likely be brought on a path similar to the red line seen on our custom map. If the extended queue for Diagon Alley is not in use, but, rather, they have a smaller queue set up right beside the Wizarding World, you’ll just need to proceed past Men in Black and look for the signs. 3. 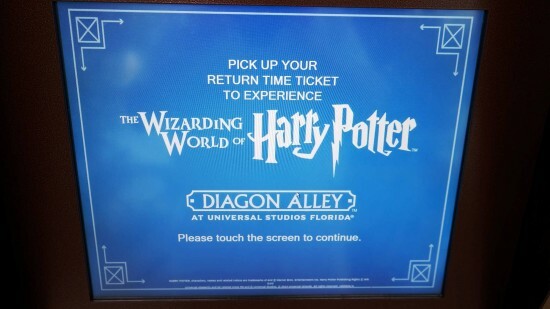 The final possible instruction you may be given is that you have a choice between getting a return-time ticket or using the Diagon Alley standby line. There is, of course, one other possibility, and that may be that no system is in use, and guests are able to enter Diagon Alley as they please. Should this be the case, you’re welcome to follow the purple on our custom map for the shortest route to Diagon Alley from the park turnstiles. These machines really couldn’t be any easier to use. Once you have your return ticket, you’re free to roam the park until your time window arrives. Final note: if either return tickets or the standby line is implemented, you will have to proceed at some point to the far end of the London waterfront, near Fear Factor Live, to enter Diagon Alley – see the red marker on our custom map. You will not be able to enter Diagon Alley from the main entrance, next to King’s Cross Station. At this time, you should open up our custom-made Google map for Hogsmeade (it will open in a new window). Please switch it to Satellite View and zoom in, if necessary. Today, we are concerned with two lines: the orange Hogsmeade return-ticket line in Jurassic Park and the red Hogsmeade standby line. The instructions for Hogsmeade are essentially the same as the set we provided for Diagon Alley: as we explained above, you won’t know if the Hogsmeade queuing system is in place until you’re in the park, and you may be offered a chance to get return tickets, a chance to wait in a standby line, or both (or, of course, neither, if it’s not that busy). 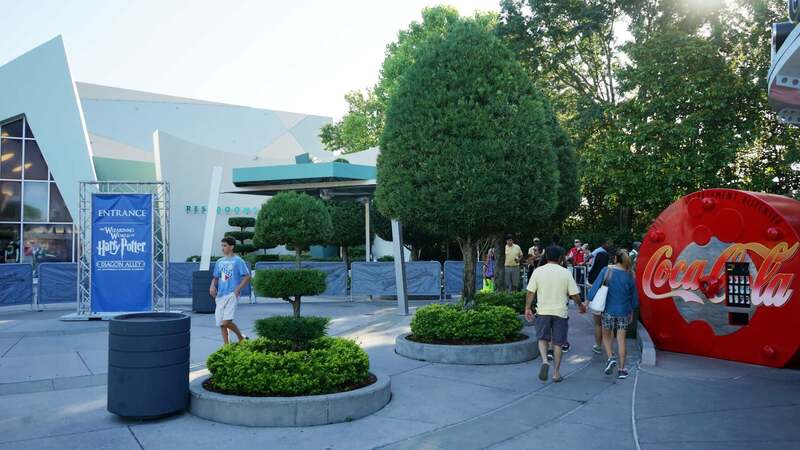 The only difference between the two scenarios is the location of the return-ticket kiosks and the standby line, and that’s what we’ll talk about right now. 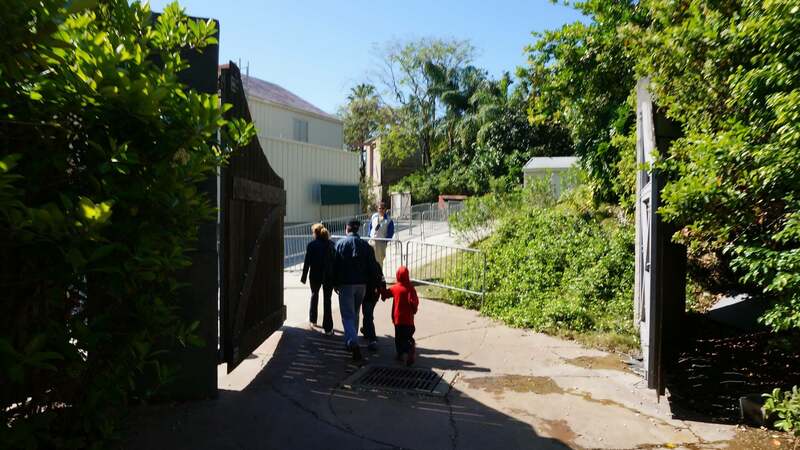 When seeking a return ticket for Hogsmeade, you will be directed to Jurassic Park. It doesn’t matter which route you take to get there – left or right around the lagoon – as neither way is faster or better. Just be aware that, if you take the route that goes by Hogsmeade, you’ll be sent over the bridge connecting The Lost Continent to Jurassic Park, indicated by the yellow marker on our custom map. Don’t let the crowds get to you! You are prepared because you’re reading this page. Just be sure to keep your family together, be patient, and proceed to the team member holding the return ticket sign. See the orange line on our custom map for an idea of where this will be located. There may be a bit of a line to wait in before you can get to the return-ticket machines, but it should move fast. Once you have your ticket, you’re free to roam Islands of Adventure as you please. Just make a note to watch where guests with return tickets are entering Hogsmeade: is it from Jurassic Park or Lost Continent? Universal changes this, so try to determine it while you’re in the immediate area, as that will determine which side of the Wizarding World you’ll go to when your return time has arrived. Now that you have read through the Hogsmeade return-ticket procedures, let’s show you a video documenting the process. Hopefully, this will be the final piece to help it all make sense. To finish our story, we have to quickly talk about the possible standby line to enter Hogsmeade. 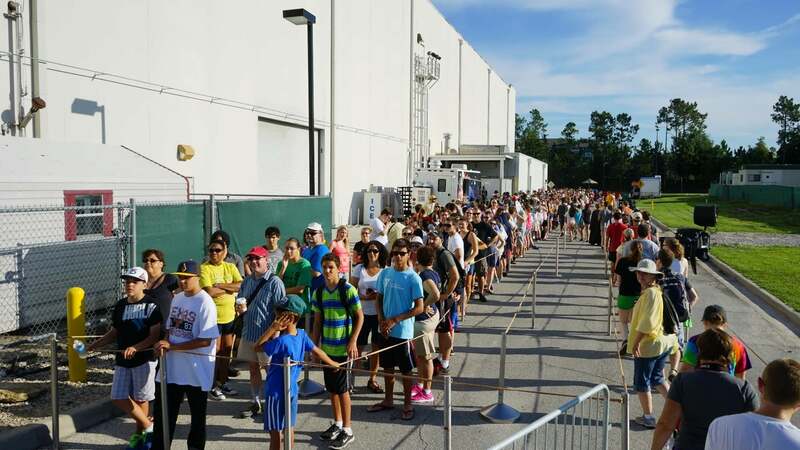 Remember, we don’t recommend that you use the standby line, but since it’s possible that return tickets may not be in use, we need to go through it nonetheless. Proceed to Jurassic Park and find the team member with the Hogsmeade standby sign. To get an idea of where this employee will be, see the red pin on our custom map. 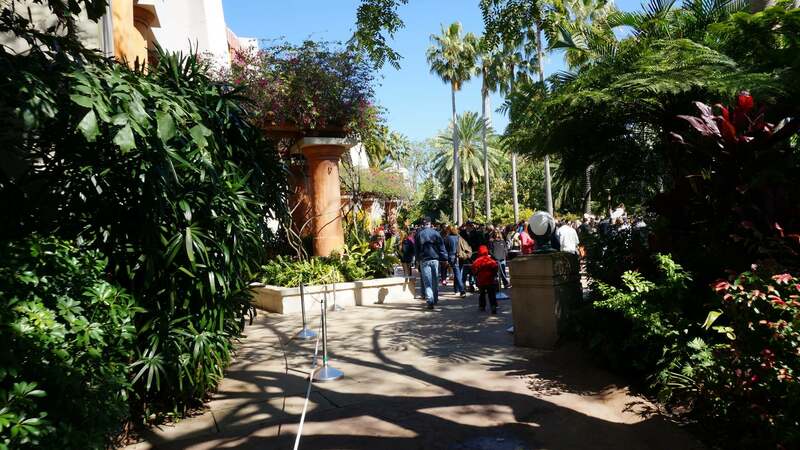 You’ll follow a path that brings you down to the area behind the Jurassic Park Discovery Center, near the lagoon. This is a big area, and it will be filled with lots of people eagerly waiting, just like you. Now, it is simply a matter of playing the waiting game. 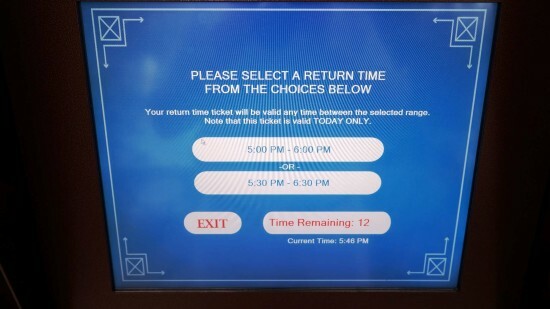 Universal may use just return-time tickets, just the standby queue, both, or neither. You won’t know for sure what’s happening until you actually enter Universal Studios Florida or Islands of Adventure and ask a team member (look for the Wizarding World signs). You may be offered multiple return times at the ticket kiosk. There is no trick here – just pick the time slot that works best for you. While Universal can relax the rules at its choosing, it’s best to plan on returning to Diagon Alley or Hogsmeade during your return-time window, not before or after, as you may not be admitted. 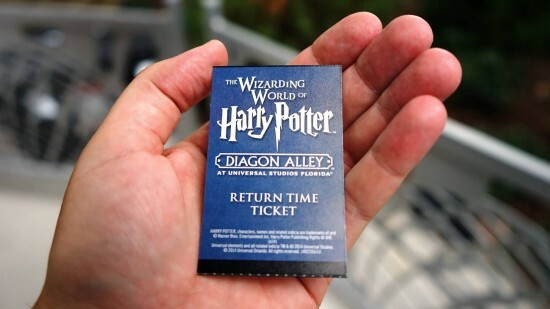 Return tickets are only valid on the day they are issued, and they are only valid at the park for which they were issued (in other words, you can’t use a Hogsmeade return ticket to get into Diagon Alley). Most importantly, remember that these systems are simply for controlling the crowd flow into the Wizarding World. Once you’re inside, you’ll have all the same queues to wait in, as we explained at the top of the page. Last but not least, after you’ve arrived inside Hogsmeade or Diagon Alley, you are free to stay as long as you would like. Just be aware that, if you leave and crowds are still being queued, you’ll have to start over from the beginning. 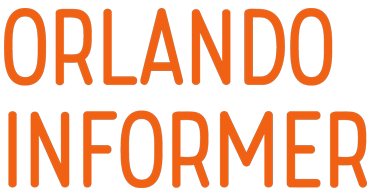 Here are a few final thoughts: first, Universal does not publicize this return-ticket system for The Wizarding World of Harry Potter. So, not only is there no easy way to get information about it from the company, you also cannot find out in advance whether the system will be used or what the current return times are. Let’s try to give you a little bit of guidance, though. On “very busy” days, there is a good chance the system will be used. On “busy” days, there is a small chance the it will be used. And on “moderate” and “slow” days, there is very little chance. 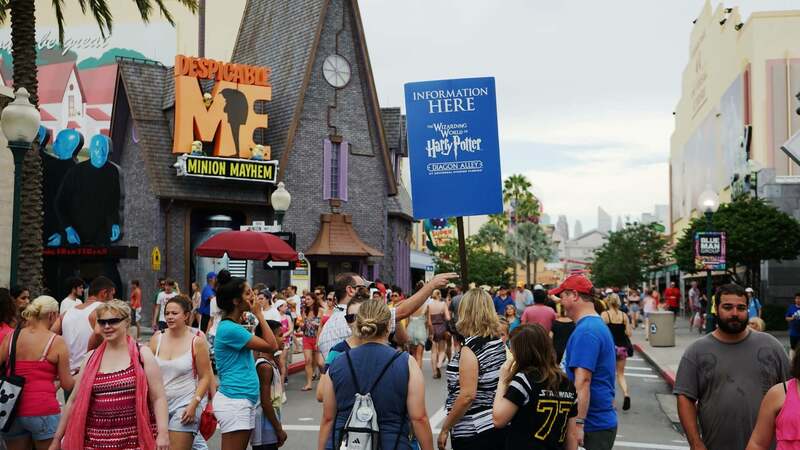 To see how busy Universal will be when you are visiting, view our crowd calendar (that link will open in a new window). 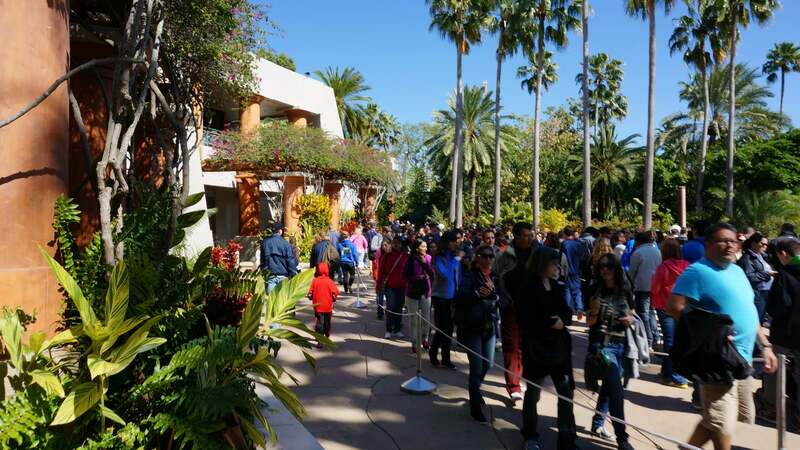 Should either system be in use during your visit, it generally kicks in around 10:00 am and is used until 5:00 pm, with wait times around two hours to get in (whether you use a return ticket or the standby line). 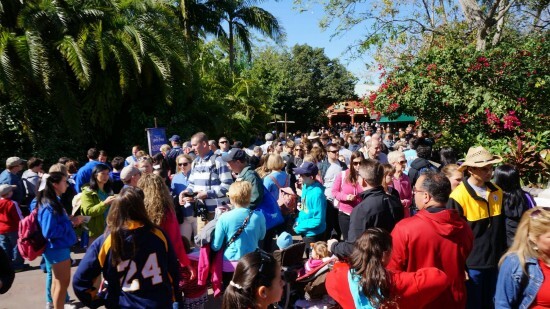 Of course, these numbers will fluctuate depending on exactly how busy the parks are. What’s the easiest way to know if the return ticket system is being used? The easiest way to know is to find a team member with a Wizarding World sign. 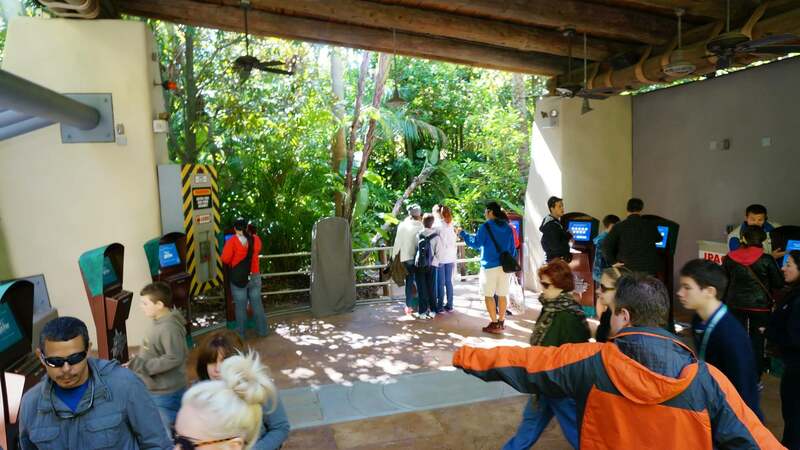 If you don’t see one as you enter either park, chances are these systems are not being used. Can I choose my return time? You may be given an option, as you saw in our photos, but, in general, the answer to this question is no. The return time is based on current demand. Once I am inside, how long can I stay? Once you make it into Diagon Alley or Hogsmeade, you may stay as long as you like – up until park closing. But if you leave, and the return-ticket system is still being used, you will need to get another return ticket and start the process all over from the beginning. Will I need a return ticket if I am at the turnstiles when the parks open? 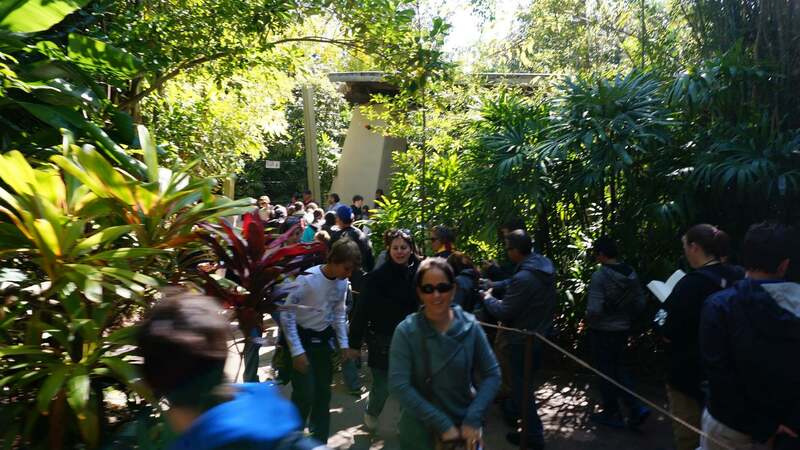 In general, early-morning crowds are asked to use the standby queues instead of getting return tickets, as this is just a simpler way to handle the initial thrust of eager guests. If the parks then end up staying busy enough, the return-ticket system will usually kick in later in the morning. Can I get a return ticket even if Diagon Alley or Hogsmeade has not reached capacity? No, you cannot. 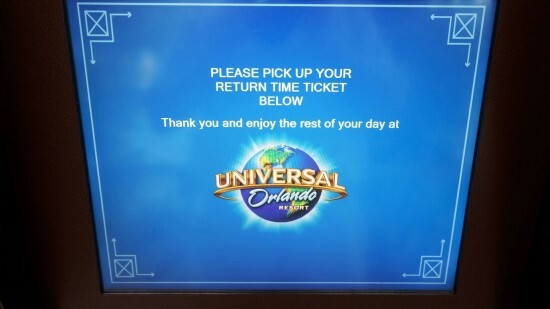 Universal only runs the return-ticket kiosks if the area they serve has reached capacity. What happens if they run out of return tickets? This is not likely to happen. However, if it does, you would be asked to use the standby line or return the next day. Do I have to pay for a return-time ticket? Nope. Admission to Hogsmeade and Diagon Alley is included with admission to Islands of Adventure and Universal Studios Florida, respectfully. Do keep in mind that if you’d like to visit Diagon Alley and Hogsmeade on the same day by riding the Hogwarts Express, you will need park-to-park admission. This all sounds very confusing. What can I do to avoid this? First, don’t come when the parks are forecasted to be “busy” or “very busy” (you can determine this by looking at our crowd calendar). If you have to come when it’s going to be busy, then follow the advice on our how to ensure your trip to the Wizarding World is a success! page.